Updates to Tracine's profile since your last visit are highlighted in yellow. We served in the US Navy for 27 years. We even spent some time on Guantanamo Bay Cuba. Our boys loved it! Robert is now retired from the navy and working part time for the Cancer Treatment Center of America in Chicago as a radiologist. He commutes. We returned to Logan in 2010 to care for our fathers. We moved in with my(Tracine) dad to care for him as he had Parkinson's disease. He passed in 2013. Roberts dad passed a month later. I took over my mothers children's non-profit book business to get the best children's books into the hands of children up to age 17. Its called"The Book Lady's Daughter". It's a full time job and keeps me very busy reviewing books, finding books and selling books. 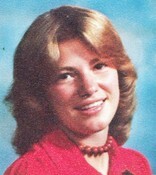 After graduating from Logan High School Rob and I both attended USU and graduated in 1980 and 1982. We both served full time missions. Rob went to Korea and I served a US mission among the deaf in Washington DC. We then hitched up the u-haul and took the few things we owned to Washington DC so Robert could attend medical school at George Washington. I taught school at GallAudet University and various private schools while interpreting for the deaf. Rob interned in Oakland and then we were transferred to San Diego so Rob could serve on a Navy Ship. Sam, Brian and Spencer were born while we lived in San Diego. Tracine Hales Parkinson added a comment on her Profile. Tracine Hales Parkinson has left an In Memory comment for Brad Summers.